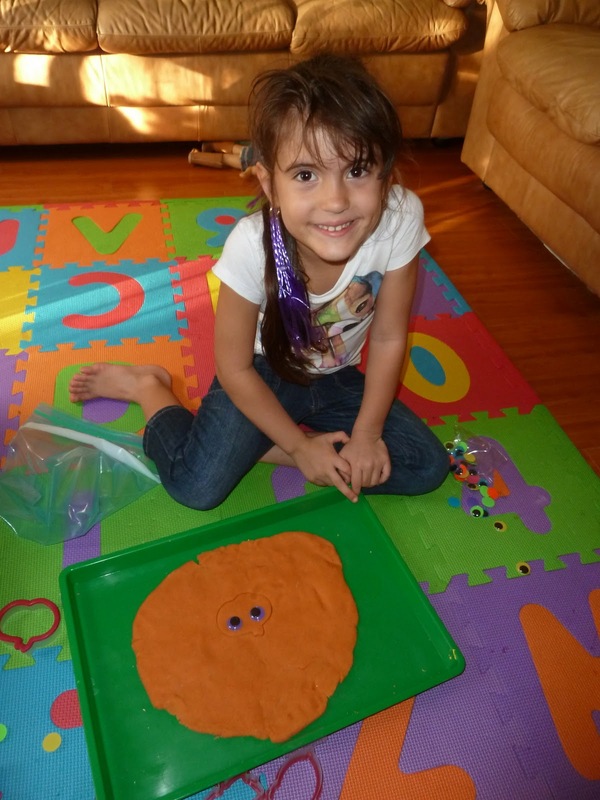 I am a homemade play dough convert! Ever since I easily whipped up my first batch - it's all I want to use at home. Cinnamon Pumpkin Spice Play Dough. Can you imagine the aroma in my home while making this? YUM! 1. Combine dry ingredients into saucepan. 2. Add water & oil. 4. Cook over medium heat, stirring frequently until dough forms. 5. Remove from heat & knead dough. 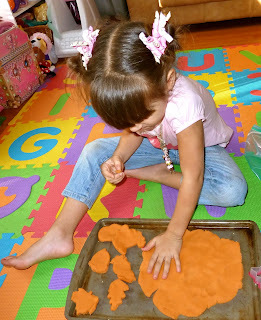 The Lil Divas had so much fun playing with this play dough. They used our fall themed cookie cutters. and of course used wiggly eyes to create play dough creatures in fall shapes. Do you have a favorite play dough recipe or scent? Simply delicious! And how funny.. my little girl decided to stick her feet in it recently too!!! I bet this smells wonderful. 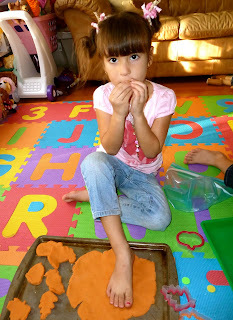 I recently made up some kool-aid play dough and some of the scents I have to say I do not like. I've got to try this one though. Thanks for sharing on Monday Madness. I have never made playdough with a scent, but this one would be so nice. I love the way pumpkin and spices smell. 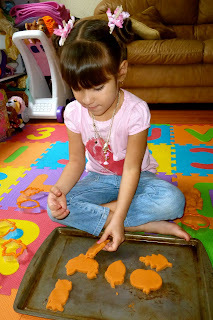 I like using the cookie cutters to create too. Thanks for sharing on monday madness. I am featuring this on the linky tomorrow! I really can't wait to try it this week. I think this is going to make us all hungry for sweets, but it sure looks like fun! Will be trying it out soon. I love this idea! My kids and I are going to do this today! How much dough does this recipe make? It makes a fairly large clump go dough. I use it at a table with 4-6 kids and everyone has a very generous sized portion to play with - much more than the store bought play dough containers. If you double the recipe you could easily have enough play dough for 12-15 kids or more. If you need less, for 1-2 kids and don't want to use a lot you could half it.